Vintage Grocers has one of the best “hot” food bars in town. When initial plans were unveiled for Rick Caruso’s Palisades Village Project, I wasn’t entirely sure whether my Monument Street bungalow would one day overlook a quaint, friendly Nantucket-like setting, or quite possibly be perched above our own version of the open-air street market in downtown Jakarta. Even during the long construction phase, I was still curious if I would own one of the most enviable sites in Pacific Palisades for an accessible stroll in our bucolic town center, or perhaps find myself unable to cross Monument because of traffic congestion backed up to Brentwood. Residents across from Carusoville worried that traffic would back up on Monument once the shopping area opened. After the original plans were revealed for the large marquee atop the Bay Theater across the street from my house, I began to envision becoming hypnotized by the flashing neon lights streaming through my front windows at night, and suddenly developing hallucinogenic-induced facial tics just before bedtime. Thankfully, the sign model was scaled back, and I was able to store the Ray-Ban’s I had bought to wear in my living room after dark. However, when the Christmas lights were strung in the trees during the holiday season, I was forced to retrieve them. The dazzling lights of Palisades Village were so bright that NASA astronauts circling the earth had no problem spotting our town when passing over the Western Hemisphere. Let’s face it; we all had our own personal design in mind as to what kind of stores we’d like to see open in our town center. When the final curtain was raised in September, many longtime residents were baffled by some of the choices. Grumbling among the natives was overheard shortly after the opening, and quietly continues into the New Year. But back in 2014, almost everyone who lived here agreed that redevelopment of some kind was overdue to help bring back some much-needed energy to a badly blighted Swarthmore Avenue. 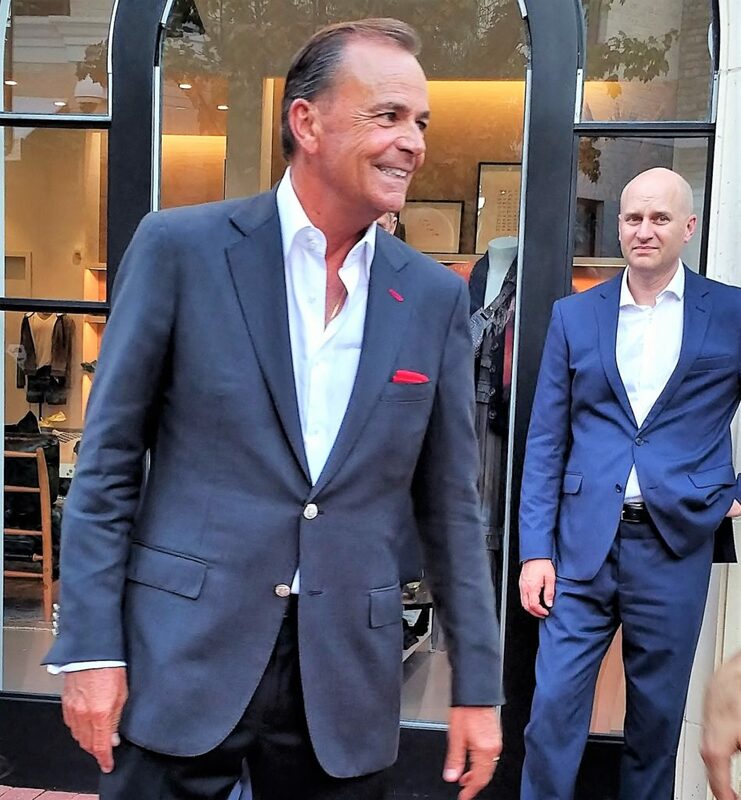 Enter billionaire developer Rick Caruso and his merry band of well-tailored associates. After meeting Rick several times, I realized why he had become one of the most successful commercial property developers in the nation. He’s confident and well spoken. He’s handsome and charming. In fact, I’m told he’s capable of leaping tall buildings in a single bound. Edo Little Bites has become a popular place to meet other Palisadians. Since I’m a guy who utilizes his kitchen only as a convenient passageway to reach another room in the house, I feel like a lottery winner with the arrival of Vintage Grocers’ elaborate hot-food counter that offers instant dinners for bargain prices. I’ve eaten more vegetables in the last three months than I have in the last decade, and my whole digestive system has been in a state of confusion due to the ingestion of these foreign substances. I’m happy to report that for those of us who live directly across the street from the project, life has not been altered as dramatically as first feared. 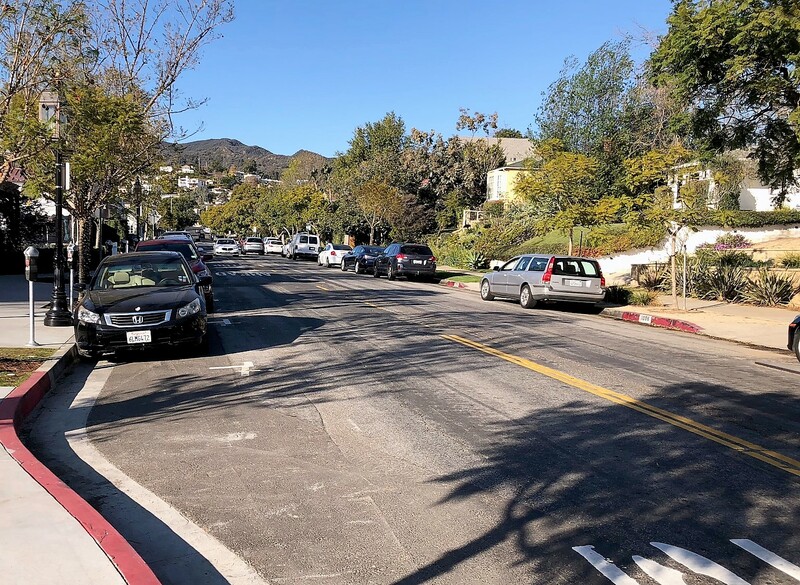 We have been able to cross the street without a well-trained crossing guard, and some of our worries have been alleviated about issues raised in those early planning meetings. And although there have been some concerns about the noise level of amplified music in the greenbelt parkway, rumors of a scheduled Led Zeppelin concert there turned out to be completely false. I’m still getting adjusted to Frank Sinatra lurking in the flowerbeds along Swarthmore and serenading me from underneath the petunias when I least expect it. But better Frank, than ABBA. 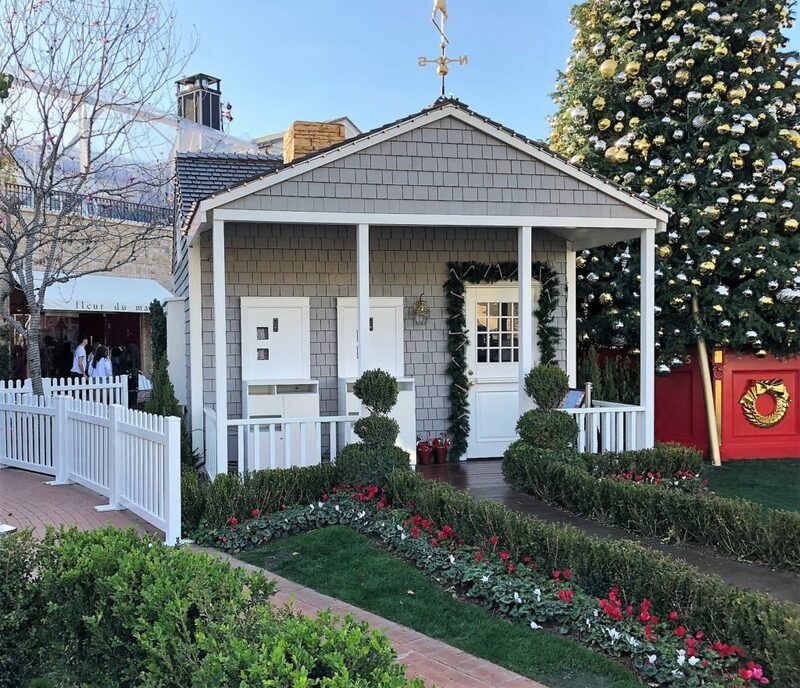 Santa’s cottage, located just off Monument, may be the newest real estate deal in Pacific Palisades. Nicely furnished studio unit decorated tastefully in red and white—completely done in candy cane theme. Large security battalion just outside your door. Full-time gardening staff replaces lawn and flowerbeds daily. 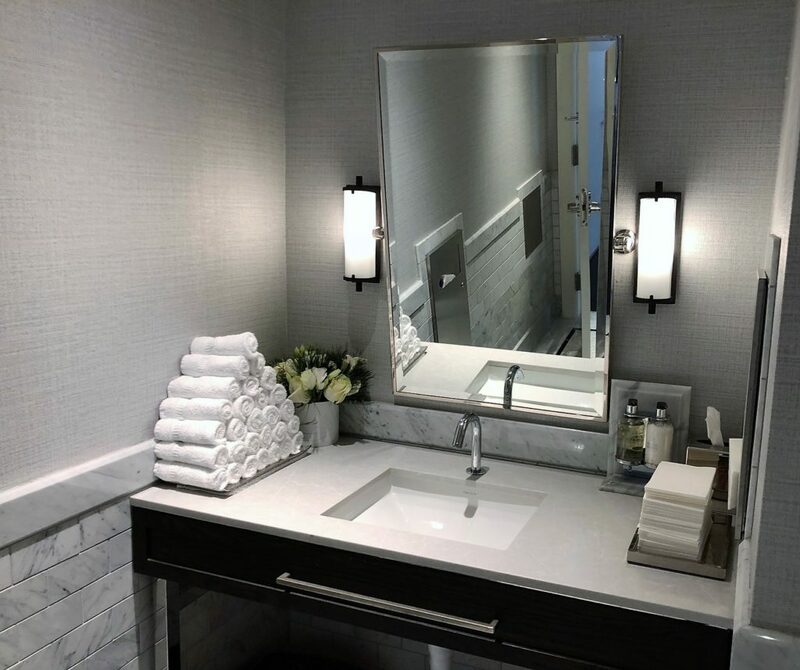 Bathroom facilities available above concierge office just around the corner. Fireplace operational only in December. Piped-in music soundtrack (Permanent loop of ABBA’s “Dancing Queen” available upon request). VERY short walk to shops and restaurants. Any takers out there? Must act quickly! Caruso’s Palisades Village public bathroom’s are the nicest in the town. 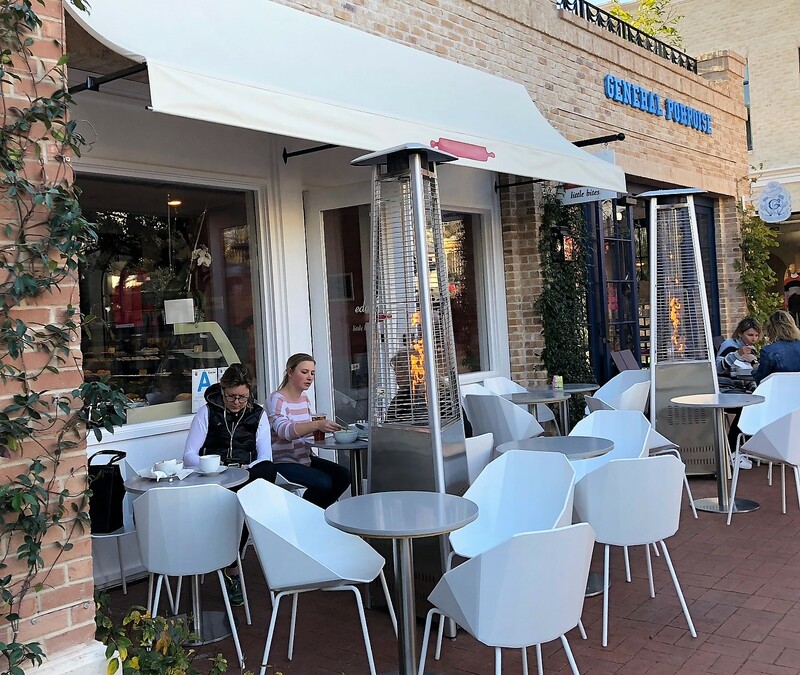 Bob Vickrey, I COULD NOT STOP LAUGHING, THIS WAS A HILARIOUS AND WELL DONE OBSERVATION OF THE ENTIRE YEARS LONG ANTICIPATION AND THEN ALL THE VARIOUS COMMENTS AFTER THE GRAND OPENING. MANY THANKS FOR YOUR FABULOUS BIT OF HUMOR. I liked Sue’s New Years resolution to laugh more in 2019 and Bob V. Has given me my first laugh!! Keep on writing Bob. Thanks for your take, Bob! Bob, I’m your closest neighbor; in fact closer that crossing the street to The Palisades Village. I’m laughing so hard you can hear me if you open your window on the south side. Maybe you could do stand up in Hanks and we, on our block, will be in the front row laughing hysterically and then we can all hold hands and walk across the street together and have a great memory! Keep writing, Bob (and keep posting his articles, Sue.) Love the chuckles…Happy New Year! See ya’ at the hot bar! Hi Bob, very disappointed I don’t see your column in the Palisadian News anymore. It was always my favorite piece to look forward to reading. What’s truly amazing about this entire project is that it both so grossly underestimates and overestimates the community it was pledged to serve. It has created a parallel universe that has nothing to do with what the Palisades was all about. Maybe one day it will find the happy middle. I keep thinking (hoping) that one day soon Chanel will move on and a chic little HARDWARE store will take its place? Thank you, Bob, for your healing laughs!